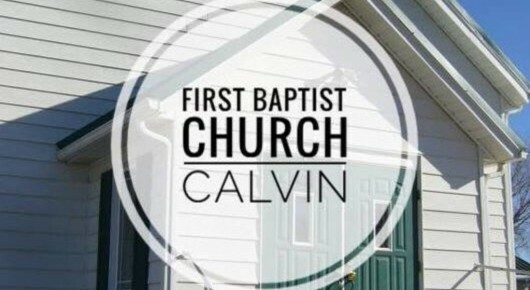 Welcome to the First Baptist Church of Calvin's website. I hope you will find the information here helpful in getting to know us. If you are looking for a church and live in the area I would encourage you to visit us. We have Sunday morning and evening services for Bible study and growth. Opportunities for ministry on Wednesday evenings include Connect Calvin, Kidzway, Youth Group, and Trinity Clinic/Pharmacy. Additional opportunities to minister each month are with our Loaves and Fishes food pantry. If you have any questions, or just want to talk, please feel free to contact the church via phone or email. Hope to see you soon!